Like a lot of big corporations have of late, such as Comcast and Ford, GE is now making its Silicon Valley presence official, with a new office and formal name for its longtime investment efforts. 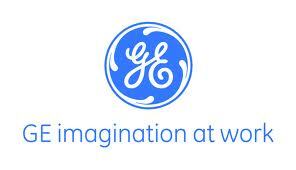 That would be GE Ventures on Sand Hill Road, which will bring together a number of its investment execs and focus them on areas that are important to the huge manufacturing company. That includes scaling and commercializing software, hardware and healthcare tech, as well as an interest in the industrial Internet. While focused for a long time on later rounds, GE Ventures will now also invest in accelerators and do seed and earlier investments. GE Ventures — which has a financial commitment of $150 million annually from GE — is part of the company’s larger tech presence in the Silicon Valley area, which also includes its new software and analytics center in nearby San Ramon, which has hired hundreds of engineers since late 2011. GE is throwing a party tonight at its new offices, and has posted a blog on GEV by Beth Comstock — who oversees the GEV effort, as well as its growth and innovation initiatives.